Next year, when construction wraps up at the Fulton Center in Lower Manhattan, commuters will be gazing up, rather than around, at the station’s new artistic centerpiece—a curved, 79-foot-high reflective aluminum diamond web encased in a stainless-steel tracery. 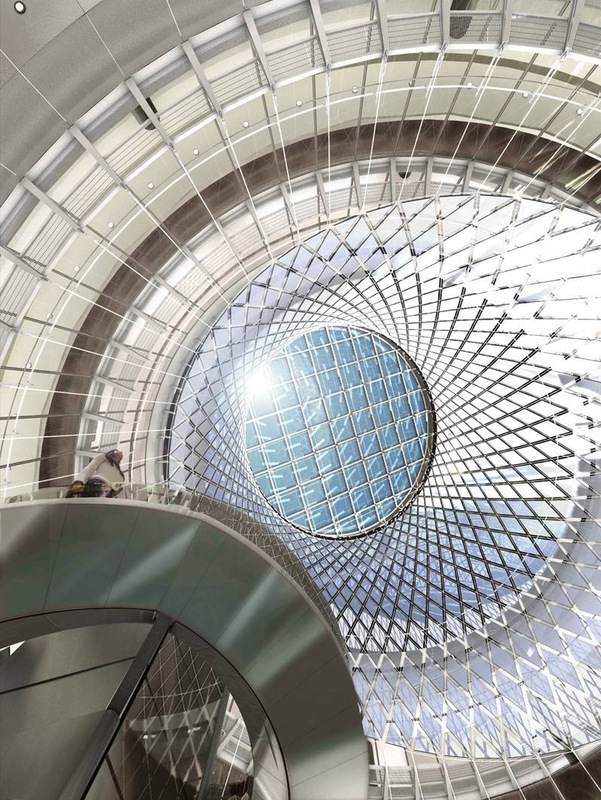 The showstopper will send ambient daylight into the mezzanines, passageways, and possibly even the platforms to help passengers orient themselves in the transportation hub. 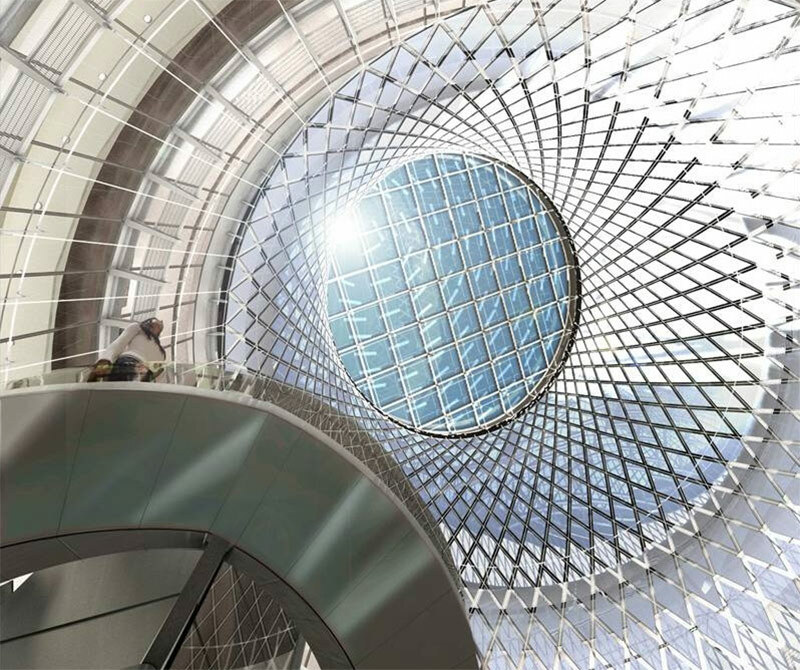 At $2.1 million, Sky Reflector-Net, an artist/architect/engineer collaboration between James Carpenter Design Associates (JCDA), Grimshaw Architects, and Arup, is an integrated work created for the Metropolitan Transportation Authority (MTA) Arts for Transit and Urban Design and Metropolitan Transportation Authority Capital Construction (MTACC). It is the largest such work that the MTA has ever commissioned. 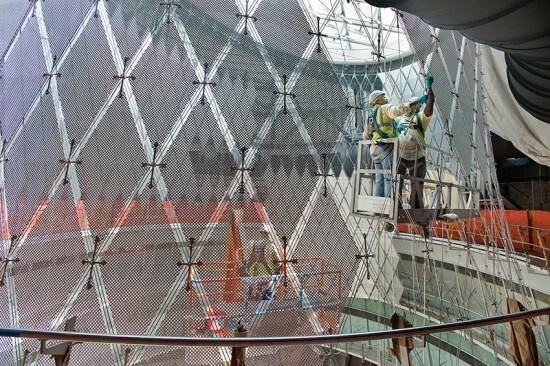 Sky Reflector-Net seamlessly incorporates both functional and aesthetic goals. 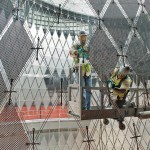 The piece was recently installed within the transit center building designed by Grimshaw Architects and Arup. 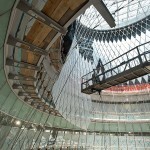 Arup is leading the 15-member sub-consultant team, which includes building design architect Grimshaw Architects, architect and historic preservationist Page Ayres Cowley Architects, architects HDR | Daniel Frankfurt. 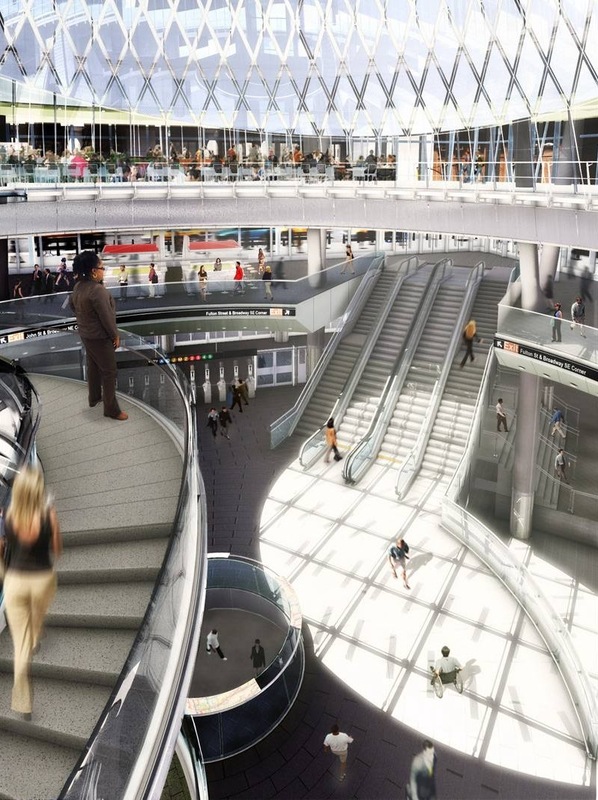 The general contractor for the Transit Center construction package (one of nine construction packages) is the Plaza Schiavone Joint Venture. 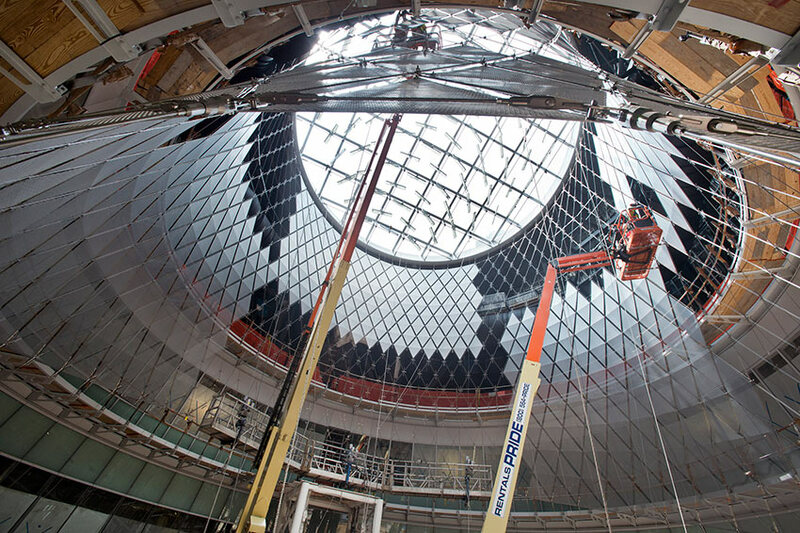 Prismatic glass blades hanging at the top of the dome that cause the 8,500-square-foot surface to continually change by dispersing light rays throughout the station. 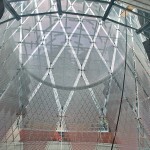 Sky Reflector-Net consists of a stainless-steel lattice made of slender cables tensioned between two sizeable rings. 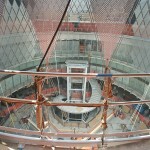 The 53-foot-wide upper ring slants at a 23-degree angle. 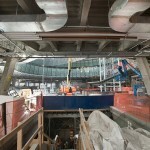 The 74-foot-wide lower ring sits at a 12-degree angle. The 952 perforated diamond-shaped and triangular aluminum panels each reflect approximately 95 percent of the light that strikes it. 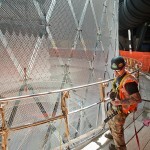 The largest reflective pane is just over eight feet tall.